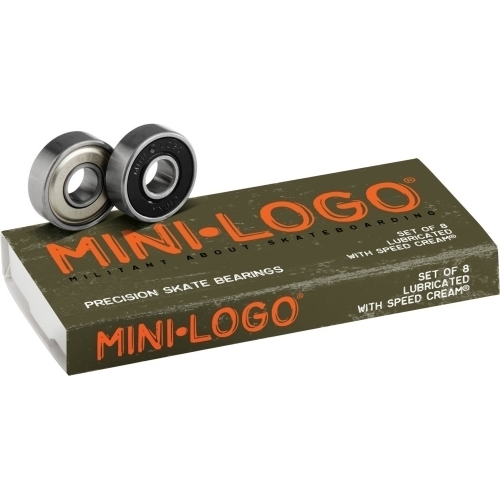 Mini Logo Bearings are Skate Rated, precision 608 bearings made to Skate One specifications. These bearings were designed for skating, not electric motors. They have a removable rubber shield on one side, a removable metal shield on the other, a high speed molded ball retainer, precision ground and super-finished hardened chromium steel races and balls, and come pre-lubricated with Speed Cream. This makes them smooth, fast, easy to install and maintain. Mini Logo Bearings twice the performance and half the price you would expect.